Purim is a beautiful holiday. It’s a time to celebrate creativity, let your imagination run wild and have some great family fun. 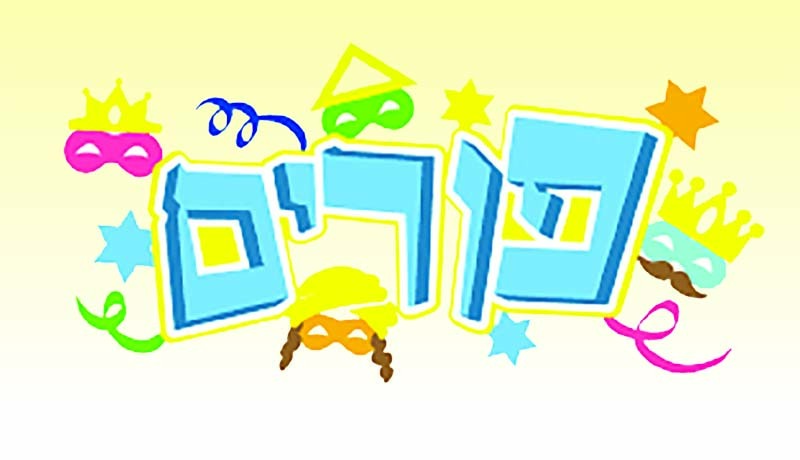 Here are some fun ways to dress up, make some noise and have a raucous good time at your next Purim party. 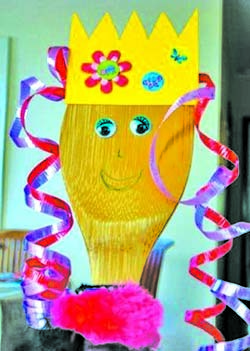 Retell the epic tale of Purim with the help of these wooden spoon and spatula puppets. Ask your little ones to make them for you and then perform the story of Haman’s defeat after dinner. They’ll love being a feature in the party and putting their puppets together. All you need is some wooden spoons, a pen or pencil to draw facial features (I suggest something non-toxic if you ever want to use the spoon again for its original purpose), some googly eyes, cardboard for hats and crowns (we decorated ours with stickers), curling ribbon, wool or similar for hair, scraps of paper, ribbon or fabric for clothing, attached in this case with pieces of pipe cleaner or more ribbon, plus sticky tape/glue/double-sided tape for attaching hair/moustaches/beards. 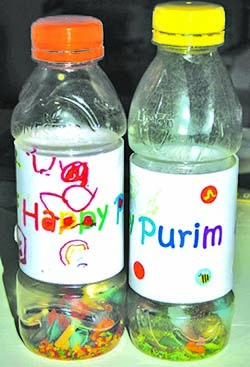 Save any individual plastic bottles for the Purim season and then fill them with rice, pasta or rocks to shake and rattle at the sound of Haman’s name. Dye rice or pasta like the creators over at the blog Joyful Jewish have done. They recommend taping up the cap with extra-strength adhesives once your bottle is full. This will spare you a massive mess to clean up after the party’s over. 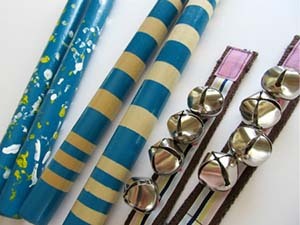 Make your own labels at home to have personalized noisemakers. Not a traditional noisemaker but these wearable noisemakers are very fun for small children or those with fine motor difficulties, this craft lets your little ones put some bells directly onto their wrists or ankles. They can shake their hands to make noise or stomp on the floor. So fun. This makes an easy sewing project for older children, and can be done by hand or machine. Supplies needed: 9 inches cotton belting, 9 inches ribbon, 1.5 inches velcro, 4 medium jingle bells, needle and thread. Prepare the wrist strap: Fold each end of the cotton belting under ½ inch and sew. If using a sewing machine, cover cut end with a wide zig zag stitch. Lay ribbon on top, also folding ends under ½ inch and pin in place. Sew ribbon to belting. Sew velcro to prepared strap, one piece on the front and the other on the back, so it will hold together when wrapped around wrist. Put a little strip of hot glue on either side of the jingle bell loop to round out the edges. Sew bells to the strap by hand, using thread or embroidery floss. You are ready to shake and jingle! A cute paper crown for Purim can be made pretty easily. With the right cuts, you can turn your average circle of paper into a complex, pointed hat and decorate it however your little ones like. 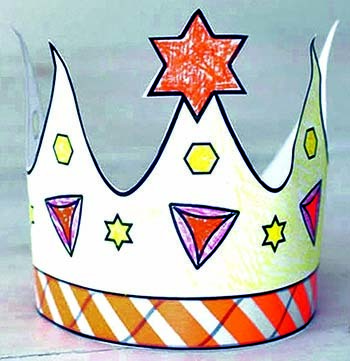 It’s a crown meant for any tiny royal and a fun addition to your Purim celebrations. Print the crown from chabad.org/kids. You can print it on white or colored cardstock or construction paper. Decorate. You can color in the lines or turn it around and decorate freely on the blank side. You could also use glitter, sequins or feathers to make it fancier. Cut a rubber band open and loop it through the holes on either side of the crown. Add some tape around the edges of the hole so it doesn’t tear. The rubber band will make sure the crown doesn’t fall off while you are busy with your royal duties. 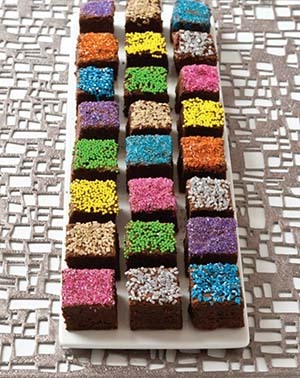 A platter of kosher brownies becomes a mosaic of color and texture with the help of a smaller size and plenty of toppings. Once the brownies are baked, cut them into bite-sized pieces. Ask your little artists to help you decorate them with crushed nuts, sprinkles, colored sugars and nonpareils. Be sure to display them out where everyone can ooh and ahh over them before gobbling them up. Preheat oven to 350°F (180°C). Use 1 teaspoon oil to grease a 9×13-inch (23 x 33-cm) baking pan. Line with parchment paper, allowing some to extend up and over the sides. Grease top and sides with the other teaspoon of oil. Break or chop the chocolate into small pieces and melt it, either over a double boiler or in the microwave oven for 45 seconds, stir, heat for 30 seconds, stir, and heat another 15 seconds if needed, until completely melted. When the chocolate is melted, add the oil and sugar and whisk well. Add the soy milk, eggs, and vanilla, and whisk again. Add the salt, baking powder and cocoa and mix. Finally, add the flour in four parts and whisk well each time. Scoop the mixture into the pan and spread it evenly. Bake for 30 minutes, or until the top looks dry and a toothpick inserted in the center comes out looking a little gooey. Cool for 30 minutes and then freeze for a minimum of one hour. Place the decorations into small shallow bowls. Pull up the parchment paper to lift the brownie out of the pan. Trim ½ inch (1.25cm) from the sides and cut the short side of the brownie into long ¾ to 1-inch (2 to 2.5-cm) wide strips. Cut each strip into small squares. To decorate, press the top or bottom of each brownie into the desired decoration. Store in an airtight container at room temperature for up to three days or freeze them for up to three months. This craft makes a seek-and-spy game out of your noisemaker. 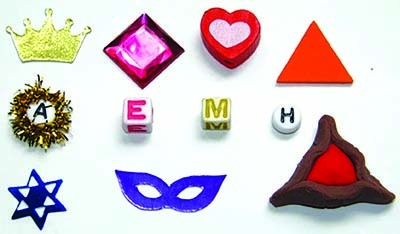 Hide some key details inside, like a heart, alphabet tiles or cubes with the initials of the story characters, a crown, a tiny horse — any bauble that fits the story. After you shake your gragger at Haman’s name, freeze and see what you can spy. Each player gets a game sheet to check off each item, and the first to get them all wins! 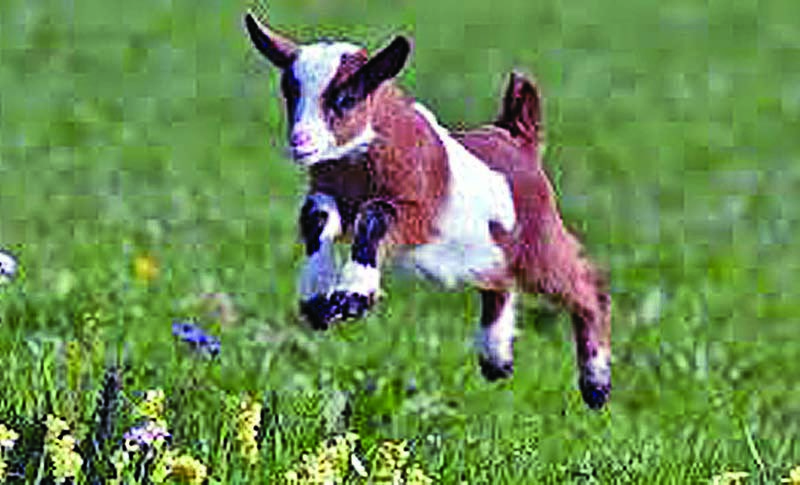 Among the sites quoted in this article were: joyfuljewish.wordpress.com; chabad.org; The Holiday Kosher Baker Cookbook.